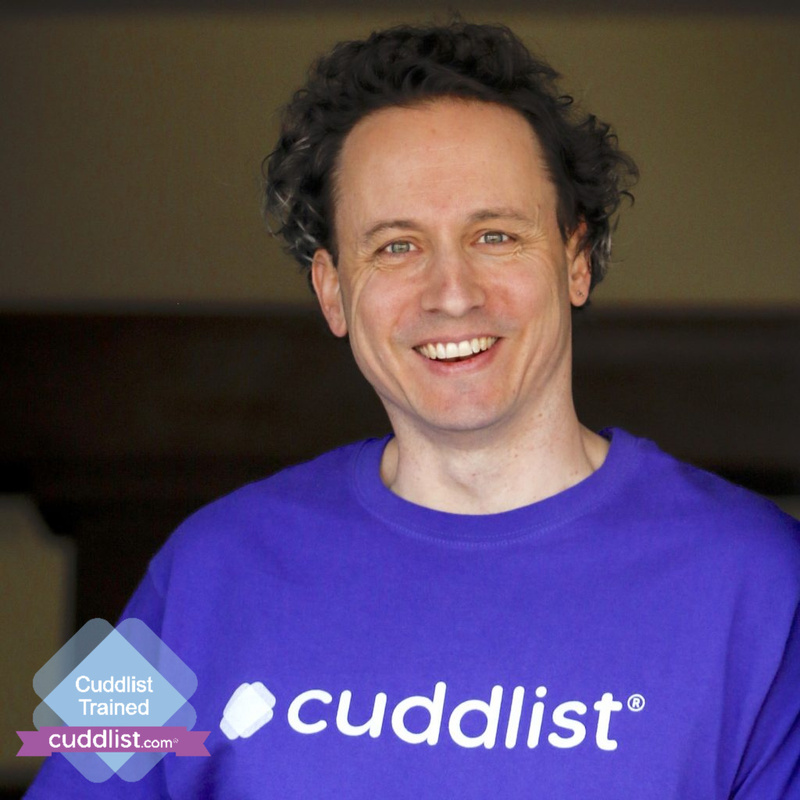 Want to cuddle with Tom C? I provide a safe, grounded, and respectful space for nurturing touch, while helping you find your desires and feel good about asking for what you want. We’ll talk about identifying and setting boundaries, and how to speak up when you’re uncomfortable. My intention is to attune to your energy and listen deeply (on many levels) to what you are needing. We’ll practice this in each session, and can even role play if you’d like to build confidence in a specific skill. 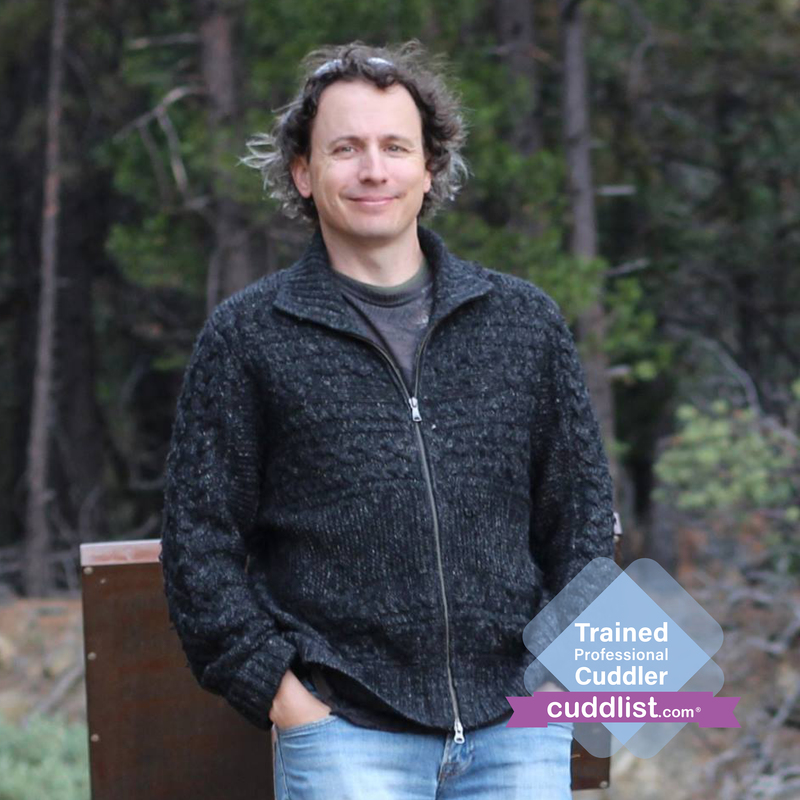 I have completed the Cuddlist training program, and bring many years of experience from long-term intimate relationships where I practiced loving touch, as well as attending numerous Cuddle Parties where I honed my skills. I’ve cuddled with dozens of people at events and one-on-one, and seen firsthand how important and healing it is to have access to platonic physical touch in a safe and nurturing environment. I think you’ll find these skills are useful in other aspects of your life, not just cuddle negotiation! Whether at work, or in intimate relationships, you will benefit from setting boundaries, knowing what you want, and asking for it. I look forward to meeting you and guiding you on this journey. “I felt comfortable with Tom right away. After eight years of being in a touchless, affectionless marriage, I was seeking a safe way to get my touch needs met without entering the dating scene. I was impressed with Tom’s attentiveness and communication skills, and I felt instantly soothed by the quality of Tom’s touch. After submitting a request, we’ll schedule a brief phone or video call so I can introduce myself, answer your questions, hear about what you want to get out of our session, and then discuss logistics and scheduling. 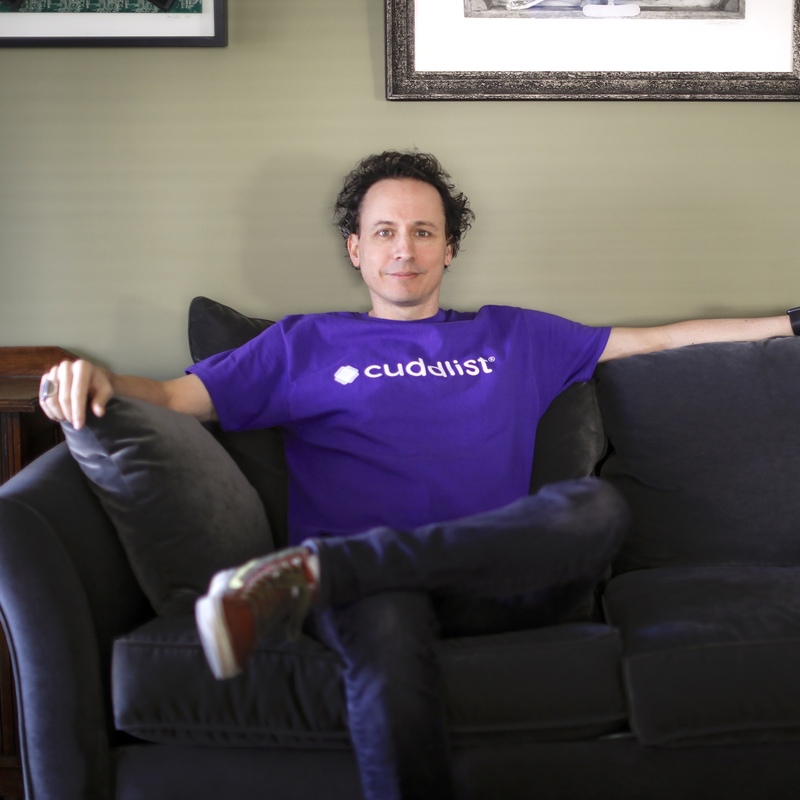 When you arrive at my cozy Craftsman bungalow in downtown Napa, we’ll quickly review the Cuddlist Code of Conduct and commit to each other that we will only do things we want, and will speak up if we’re uncomfortable at any point. 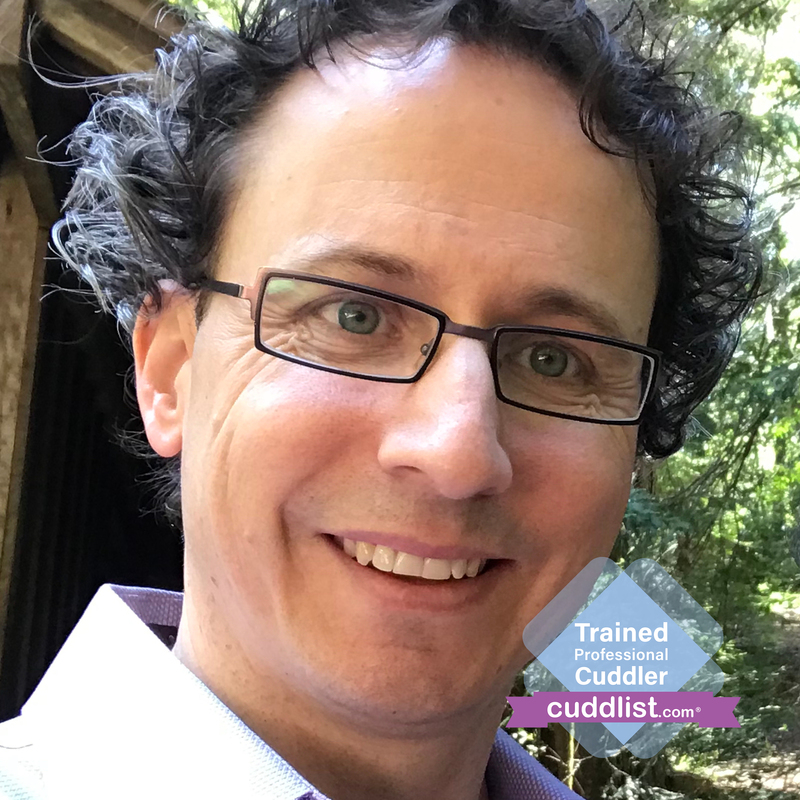 We’ll discuss your goals and desires for the session, go over our personal boundaries, and then decide on how to start cuddling! We can cuddle on my cozy couch, or on top of a queen-sized bed with lots of pillows. I’ll have a timer set to give us a 10 minute warning before the end of the session, so we can smoothly transition out of our cuddle. Sessions are $80/hour, billed in 15-minute increments and a minimum of 1 hour. I accept cash and electronic payments (PayPal, Venmo, Zelle), either before or after our session. Accepting of all ages, ethnicities, genders, body types and identities. LGBTQ-friendly. Details on my space: Street parking out front. Wood floors throughout, no pets, no scented candles or air fresheners. Please refrain from wearing perfume/cologne. Wear comfortable, loose-fitting clothing (minimum of tank top and shorts to mid-thigh). If you’d like, you can change here before our session. Outcalls: I’m willing to travel to locations within 40 miles of downtown Napa, at a rate of $60/hour of travel time to and from your location. Travel fees waived for handicapped clients. Generally available during daytime and evening hours, all days of the week. Request a session for current availability.